Dr. Gaytan earned a Bachelor's degree in Computer Information Systems from Western Michigan University in 1987. Upon graduation, he accepted a position as a computer programmer. This position eventually turned into a systems analyst job. Four years later, Dr. Gaytan earned a Master of Business Administration (MBA) degree from The University of Texas at El Paso. Upon graduation, he accepted a full-time position teaching computer information systems courses in the Department of Information and Decision Sciences, College of Business Administration, The University of Texas at El Paso. This full-time teaching position lasted until the year 2000, when Dr. Gaytan earned a doctorate degree in educational leadership and administration with a concentration in the effective and efficient integration of instructional technology into teaching practices. 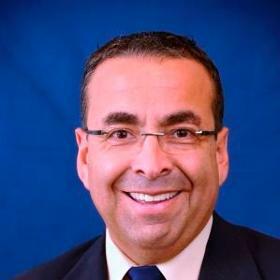 Dr. Gaytan accepted an administrative position as Director of Business Education in the Richards College of Business at the University of West Georgia. His tenure extended from 2001 to 2007. In 2008, he accepted a faculty position in the Department of Business Education, School of Business & Economics, North Carolina A&T State University. Dr. Gaytan has authored over 65 publications in prestigious journals such as The Association for Research in Business Education - Delta Pi Epsilon Journal, Business Teacher Education Journal (formerly NABTE Review), Journal of Business and Training Education, The American Journal of Distance Education, Business Communication Quarterly, Journal of Research on Technology in Education, and Contemporary Education. He has also delivered numerous research presentations at the local, state, national, and international levels. Dr. Gaytan has received 14 teaching, 2 research, and 2 service awards in his 27-year professional career. While the teaching awards have derived from student nominations and perceptions, the research and service awards have come from nominations by colleagues and administrators. Dr. Gaytan is very active in his church and his hobbies include soccer, tennis, lightweight training, and sand volleyball.